AirTamer / Air Pollution / What is Asthma? Asthma is a chronic condition that affects 26 million Americans. There is currently no cure for asthma. Despite this people who suffer from asthma can control it. There are many ways to help prevent an attack or episode from happening and ways to treat the attacks when they do happen. Asthma affects people of all ages and backgrounds and in most cases there is no known cause. Controlling asthma can be done by knowing your triggers, taking all prescriptions according to the label directions and recognizing the early signs of an episode. 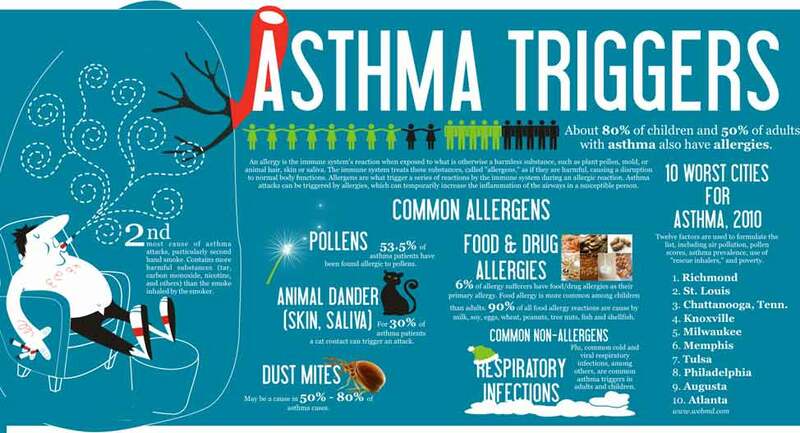 Asthma triggers can vary from person to person. Some people only have a few triggers while others suffer from many. The triggers can also vary in the severity of the attack. 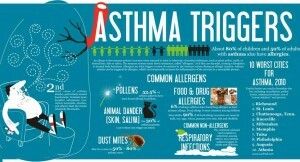 Allergens are a common trigger for asthma sufferers. This can include dust mites, cockroaches, weed, tree, and grass pollens, mold, and pet dander. Irritants in the air can also cause an episode. Smoke from cigarettes, air pollution, wood fires, charcoal grills, and strong fumes from paint, gasoline, scented soaps, and perfumes are all airborne irritants that people have noticed cause an attack. Exercise has also been known to cause an asthma attack (for more information on exercised induced asthma check out this post). Changes in weather, dry wind, and cold air are likewise known to be triggers. Another trigger for some people is the expressing of strong emotions such as anger, fear, and excitement, laughing, yelling, or even crying. Medications like aspirin and NSAIDs are known triggers as well. Other less common triggers include sulfites in food, hormonal changes, and reflux. Asthma triggers can cause coughing, shortness of breath, wheezing, and chest tightness making it difficult to breathe. For those who would like to know if they suffer from asthma they must consult their physician. They will be asked for a detailed medical history. They will have to have a complete physical exam. The physician may also perform a lung function test as well as a chest or sinus x-ray. If you are diagnosed with asthma there are many treatment options including inhalers, nebulizers, and other medications in the form of a pill. Consult with your physician to see what will work best for you and your asthma. As with most conditions prevention is always the foremost thought for people who suffer from asthma. To help prevent an asthma attack you should always take your medications as prescribed by your physician. Asthma sufferers should do anything and everything they can to avoid their triggers whatever they may be. The best and easiest way to do so for allergens and air irritants is with a high quality personal air purifier like this one seen here. 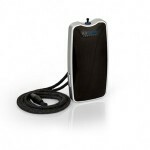 A personal air purifier can be used both indoors and outdoors. AirTamer A310 Personal Air Purifier is one of the best personal air purifiers in the world at removing irritants from the air around you so that even the most severe cases can enjoy the great outdoors.